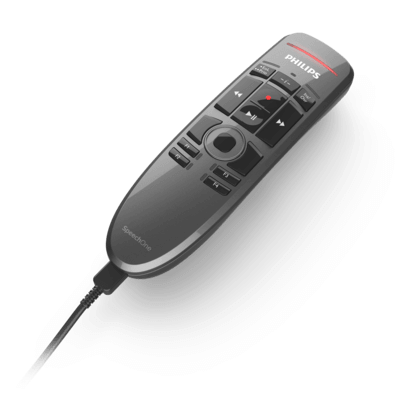 The only professional dictation headset with a precision microphone and lossless audio transmission. 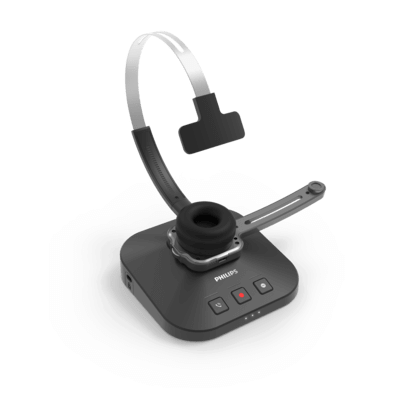 The professional microphone guarantees accurate speech recognition results and transcriptions, even in noisy environments. Decoupled microphone for crystal-clear recordings, designed for dictation and speech recognition. 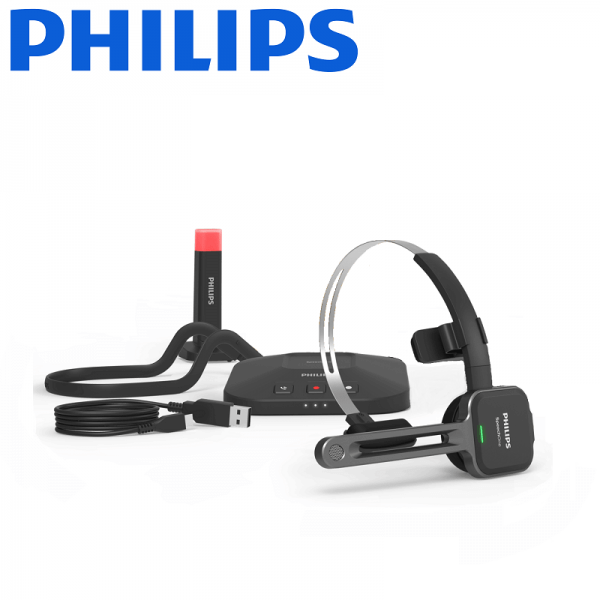 The modern ergonomic design ensures comfortable working, even after many hours of use. 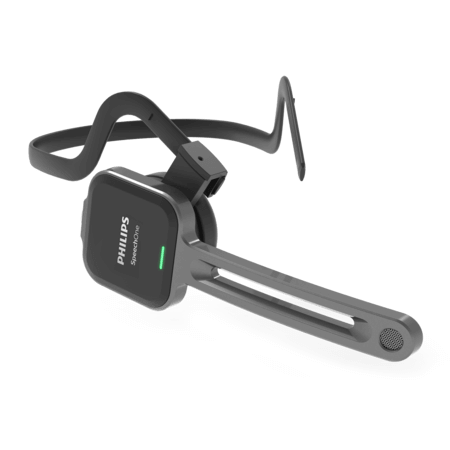 With a 360 degree rotating boom arm the SpeechOne headset is wearable on the left or right ear. Benefit from a high-performance battery which lasts the entire work day. 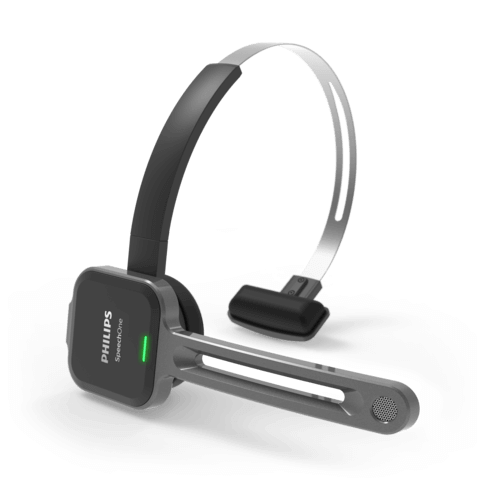 Up to 12 hours of recording time and 80% charge after 60 min using the wireless docking station. Reclaim control over your availability by clearly signifying to colleagues whether you are “available” or “busy”. 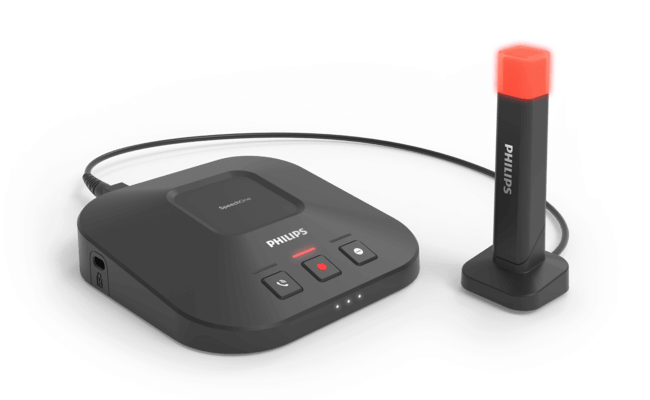 The magnetic, mountable status light automatically turns red when recording or in a call. If you share a device with other authors, you can each have your own personal exchangeable cushions. 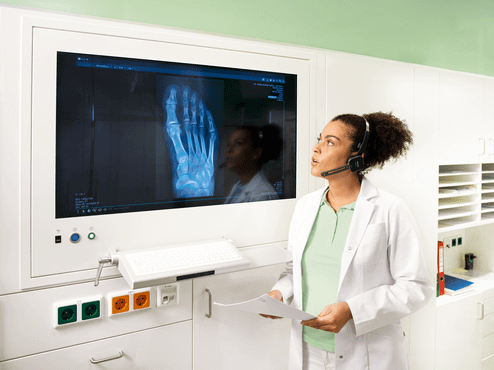 Comfortably communicate via Skype in crystal-clear audio quality without any additional installations. 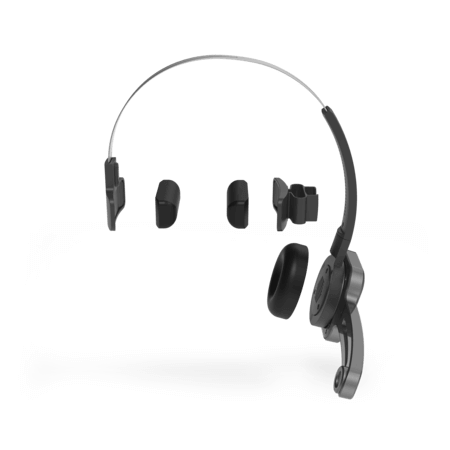 Accept or reject calls via headset and Docking Station and adjust volume using the scroll wheel on the headset.